The granting of bail to former Malir SSP Rao Anwar in the Naqeebullah Mehsud murder case, on July 10 has caused a sense of indignation and distrust towards the judicial system in large swathes of Pakistan’s society, particularly the youth. Anwar, whose involvement in the targeted killing of Naqeebullah Mehsud, a youth from Waziristan residing in Karachi, was confirmed by two separate official investigative reports. With the revelations of Najib’s extrajudicial murder, the mass outrage had forced the media into a raucous diatribe even portraying Rao Anwar as a convicted murderer when the revelations of this ‘encounter’ came out in January. Now with the ebbing of the protest movement, there’s a stealthy silence. Rao Anwar had gone into hiding soon after demands for his arrest in this murder case had gained traction. The widespread protests that had erupted gave an impetus to the Pakhtun Tahaffuz Movement (PTM). 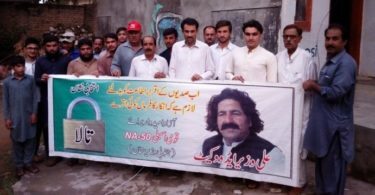 This movement has arisen from the mounting grievances of the ordinary people of Waziristan and other tribal areas devastated by this country’s poor security policies and oppression in the aftermath of military operations. The country’s criminal elite was shaken by the upsurge of these mass protests. However, as the movement receded Anwar resurfaced in a dramatic manner at the Supreme Court (SC). During the period of his hiding, he had pursued his benefactors in the echelons of the state and political power to ensure his safety. It seems he had got his guarantees. His house in the safety Malir Cantonment was declared a sub-jail. The court had even accepted Anwar’s application of an exemption from being handcuffed during his attendance of court hearings. The Police Investigating Officer in this lawsuit, SSP Dr Rizwan, skipped the hearing of the case yet again on Tuesday; the day Rao Anwar was granted bail. Outside the court, Anwar told reporters that, “I would soon name those who conspired to trap me as they had tried to trap ‘someone’ in the Murtaza Bhutto murder case.” This was a not quite veiled threat to perhaps his closest boss with whom it seems his relations have gone caustic. 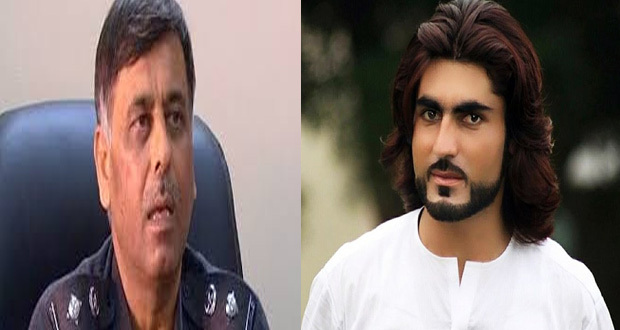 A statement from Naqeebullah’s father said: “In the end, it is obvious that the government is in complete complicity with this dangerous accused, Rao Anwar, and facilitating him in every way to damage the case…” Until Naqeebullah’s murder, Rao Anwar, Sindh’s so-called encounter specialist had not faced any inquiry despite having mowed down 444 people in police encounters between 2011 and 2018; according to the police’s own records. The Rangers-led operation in Karachi, which began in late 2013, gave fresh impetus to police encounters in district Malir, where Rao Anwar was the boss and enjoyed much more power. In India and Pakistan along with other states in the South Asian subcontinent such assassinations in police shootouts and extrajudicial killings have been a social norm ever since the British Raj. In some Indian thriller movies such state assassins are even glorified. The British imperialists ensured that their imposed system of the state and economy would continue by their grafted political elite. The betrayal and defeat of the 1946 revolution that was spearheaded by the sailors of the British Indian Navy paved the way of a safe transition and drawing out of this exploitative system and state structures. After the bloodied partition the neo-colonial states that emerged; the laws, methods of torture and the oppressive character of these institutions remained unchanged. With the unravelling socioeconomic crisis, these states have gone more vicious and repressive against the toiling masses. This socioeconomic corrosion is reflected in the surge of reaction, religious fundamentalism and terror. If the scourge of terrorism has killed innumerable innocents, extrajudicial and targeted killings by the security forces are no less brutal and widespread. For the innumerable innocent people that Rao Anwar slayed, quite a few large-scale terrorist attacks would equal those numbers. Casualness of the prosecution, the absence of the Investigation Officer from court hearings and the lucrative allowances granted to Anwar unmask the partisan role of moneyed justice. This is a blatant exhibition of power of the rich and mighty, which is what determines decision-making in the highest tiers of power. The corrupt and crooked ruling elite that has become more lumpenised and criminal in business dealings and political manipulations need such police officers and bureaucrats. These are used for protection of the elite’s criminal activities and advance their business interests. Often they remove anyone who becomes a snag in their plunder or with whom they have personal vendettas through these mercenaries. What has been illustrated in the murder case of Naqeebullah and Anwar’s ‘inconvenience’ is that it’s only the movements of the masses from below that can check these glaring injustices and atrocities of the forces imposed upon us. Once they recede, these uniformed criminals go scot-free. Then the forces of the status quo strike back with a vengeance. The media is forced to broadcast the woes of victims only under mass pressure. There can be a new wave of protests against this injustice but being sporadic and temporary, it won’t resolve these issues permanently as these are a product of a decayed state and system in power. This ruling elite can only rule by using such tactics against the deprived and exploited. 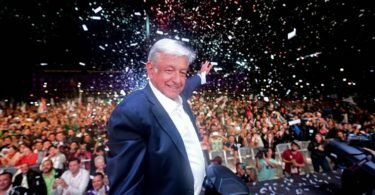 The mass upheaval of the toilers and youth in the leadership of the proletariat can defeat this callous system of violence, exploitation, deprivation and bloodshed. Only a victorious revolutionary insurrection can guarantee the success of the class struggle to overthrow this criminal ruling class and its oppressive state. Published in Daily Times, July 16th 2018.